The popularity of AFL in Queensland continues to grow with AFL Queensland today announcing 2018 participation grew by 5.2%. Overall all competitions and programs grew to 265,760 participants. Community Club participation continued to show healthy growth, with participation in club footy growing 3.5% to 30,351 participants. AFL Queensland CEO, Dean Warren, said he was pleased with the continued growth of AFL across the state. 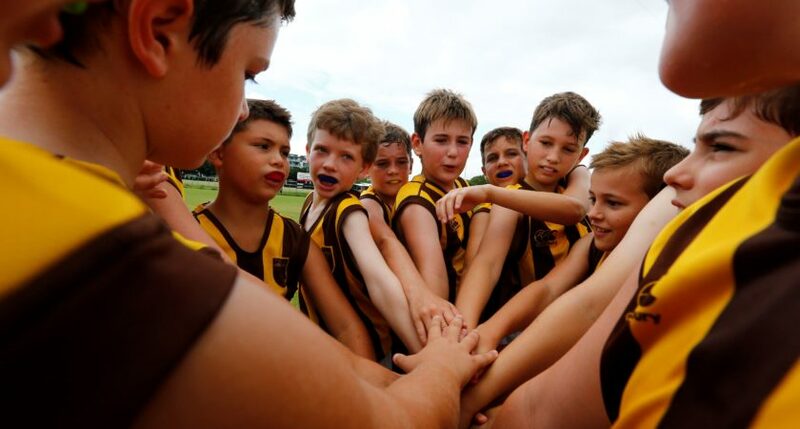 AFL school competition participation grew a further 4% in 2018 to almost 50,000 participants, making the AFL school community in Queensland the third largest school participation base in the country behind only Victoria and Western Australia. Female participation in Queensland also grew by an impressive 18.85%, recording over 110,000 total participants. Queensland sees females account for the greatest proportion of total participants in the country, with women representing 42.06% of all participants in the state. AFL General Manager of Game Development, Andrew Dillon, was at an Open Skills AFL Wheelchair session on Sunday to announce the 2018 participation figures. “Participation in Australian Football is continuing to increase year on year as a result of the hard work and commitment of our dedicated volunteers in conjunction with the AFL’s commitment to increase inclusion and diversity in our game through the introduction of new AFL inclusion programs,” Mr Dillon said. “The NAB AFL Women’s Competition has played a key role in contributing to an outstanding increase in football participation, growing by 14.42 per cent to reach a figure of 530,166, reflecting 32 per cent of all participation. The AFL announced that national participation in AFL competitions and programs grew to an impressive 1,649,178, up 6.54 per cent. All states and territories once again saw an increase in overall participation in areas including NAB AFL Auskick, female football and community football.